Baseball has changed so much in recent years. I have noticed that whenever there is a conference at the mound these days, the pitchers and catchers have resorted to the practice of covering their mouths with their gloves – as if worried that someone in the opposing dugout is going to read their lips and tip off the batter about the upcoming sequence of pitches. This little affectation – for such is what it is – drives me crazy. All the more so when you have someone like Barry Zito on the mound ( I scheduled our visit to the ballpark last week around his turn in the rotation) who is going to give up a hit whatever he throws. 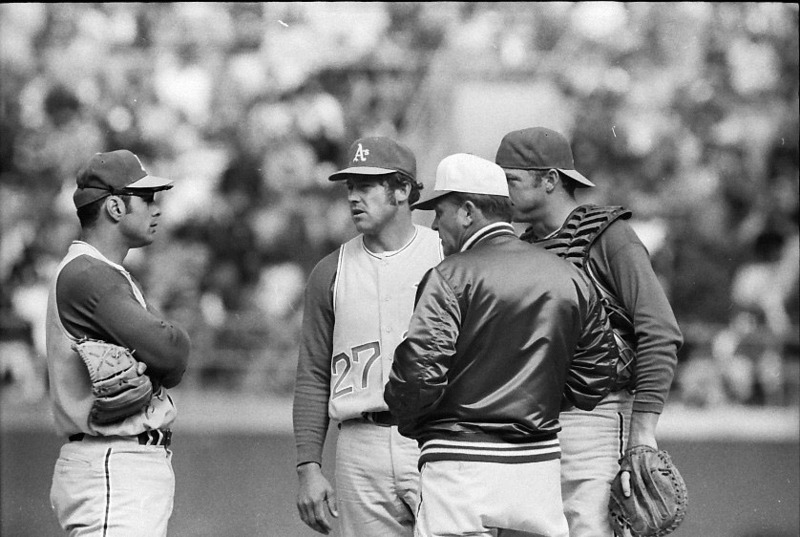 Anyway, I wish pitchers and catchers nowadays would act like normal battery mates and discuss how to pitch to hitter instead of acting like two hoods standing outside Jiffy Liquors doing a drug deal.